The short answer is nothing! 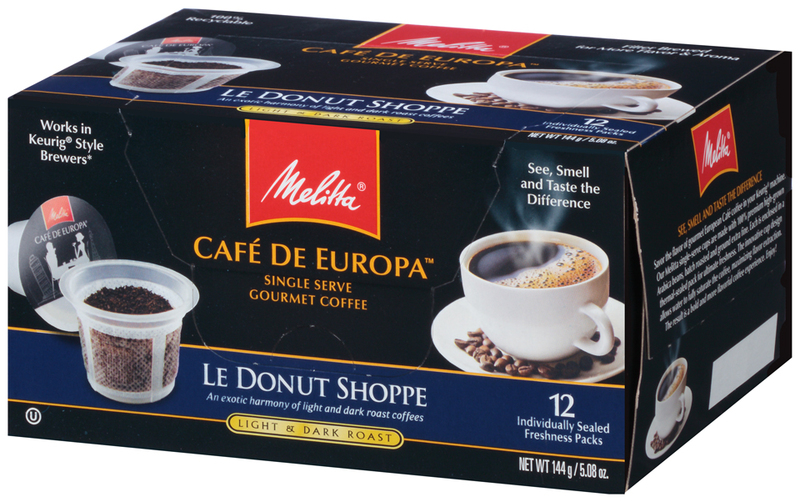 However the folks at Melitta are doing innovative things to make me at home brewing process easier and more flavorful! Filters with coffee fill lines! Kuerig compatible cup that do not compromise flavor! Each packet is sealed to preserve freshness! Filters made from renewable resources! Cost-effective accessories for making fancy coffee shop beverages at home! This pour over option for at home brewing is inexpensive, made of plastic and dishwasher safe! I was able to take a tour of their location along with a small group of bloggers from the area. 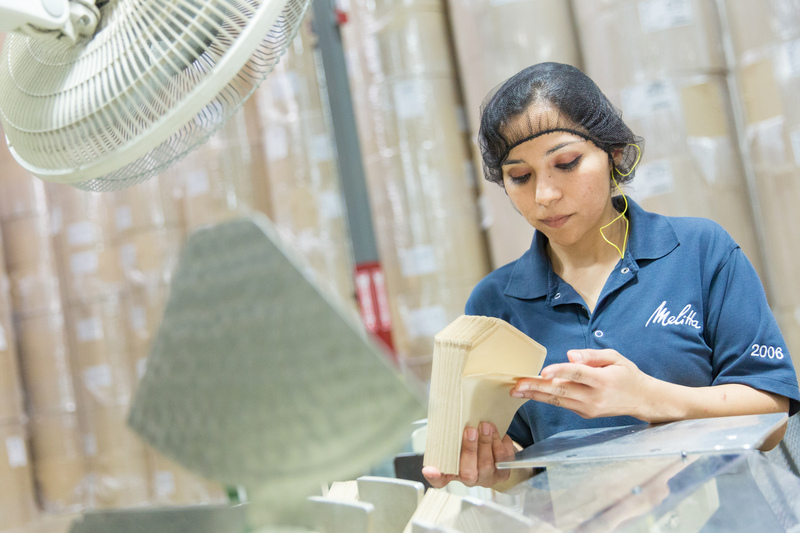 In their Clearwater facility they are able to produce roughly 4 million coffee filters a day! 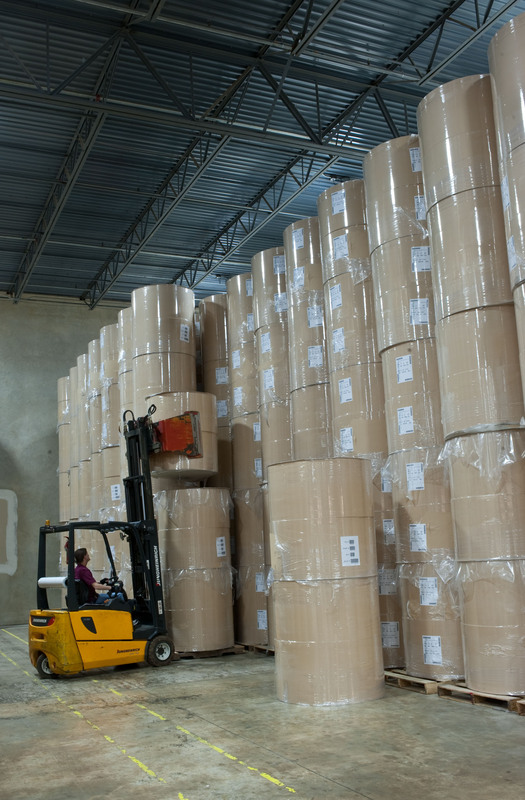 This manufacturing facility has no waste when it comes their paper. The left over scraps of paper are used for various things such as shoe soles, pet bedding and some is recycled back into the paper that makes their filters. I was most impressed with the quality with which they pride themselves on. Earning some of OSHA’s highest safety awards and maintaining a higher quality chlorine free paper. We had to wear the most adorable hair nets while taking a tour of their facility! Thanks to Melitta, not only did we get to tour their facility where the manufacture coffee filters for all of North America, but we got two sweet goodie bags! Yes, I’m keeping one – I can’t wait to try pour over coffee! But I have a bag to share with one lucky reader! Would you like to win one?! Fill in the form below to enter! Winner will be chosen Sunday, 10/4 at Midnight! Maximum of one entry per day! Within the next week I will be sharing some of their holiday party suggestions for having a coffee bar at a gathering! Some great ideas and treats to share! Thank you to Melitta USA for the wonderful visit at their facility! Gah, a coffee tour?! I actually put that up there with wine tours!